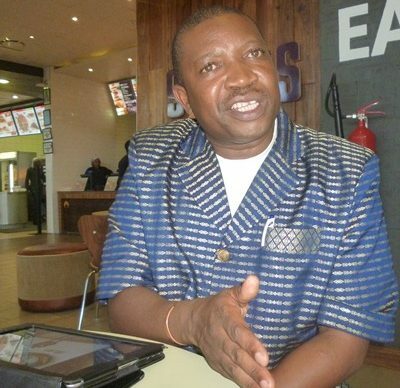 OPPOSITION United Party for National Development (UPND) deputy general secretary Patrick Mucheleka says President Edgar Lungu has distressed many Zambians while his family is rejoicing in luxuries and ill-gotten wealth. In a statement today, Mucheleka said farmers in most parts of the country had not been paid their money for the last season’s crop produce while majority of them have not received fertilizer and other inputs for this planting season which was almost coming to an end. Mucheleka said Zampost, National Housing Authority and other workers were going for months without salaries, retirees were languishing, students in higher learning institutions were going without allowances, schools had opened yet most pupils won’t see the inside of classrooms due to economic hardships faced by parents. “Amidst all these problems, we are reading reports of Edgar Lungu’s wife Esther Lungu traveling to the United States with a delegation of 25 people just to receive some donated and obviously second-hand fire-fighting equipment. Our modest calculations indicate that the trip may cost the taxpayers as much as K2.5 million (K2.5 billion old currency) in business class airtickets, allowances, hotels and other incidental costs associated with the travels by the first family in Zambia,” said Mucheleka. He said all this is happening at a time when President Lungu was leading another huge delegation hibernating outside the country receiving first class medical attention all at taxpayers’ expense. “On the economic side, citizens are losing jobs in the mining sector and other industries due to Edgar Lungu’s continued economic sabotage coupled with corruption. These are the same people that have been telling other citizens to implement austerity measures,” he said. He said it was increasingly becoming clear that President Lungu and his family were sabotaging the economy and possibly planning to run away from Zambia. “There is no way a Zambian citizen, especially one who claims to be leading such a troubled country, can be acting in this reckless manner of total disregard for fellow citizens,” Mucheleka said. “Edgar Lungu and his family must immediately be democratically impeached and allow the Vice-President Inonge Wina to complete Lungu’s last term in office”. He advised those close to President Lungu to tell him to resign and enjoy a bit of respect.